March is Women’s History Month, so in celebration, Love Happens mag is honoring top female interior designers and architects. These 26 amazingly talented women make the world a more beautiful, inspiring and functional place. Cheers ladies! Since founding her eponymous firm, Alyssa Kapito has developed a reputation for creating elegant, bespoke interiors that focus on beautiful textures and clean lines. Alyssa has been widely recognized for work in the design field making her a clear choice for our top female interior designers list. In May of 2017, Alyssa Kapito Interiors was named one of the top 10 Instagram accounts to follow for Interior Design by Elle Decor and in July 2017 she was also named one of the top Instagram Accounts to follow by British Vogue – check her out @alyssakapitointeriors! Award-winning designer, Amy Lau, crafts warm yet bold interiors that display flawless attention to detail and expressiveness, personalized for each of her clients. Amy’s eye for intrinsic beauty and natural tones, materials and landscapes are representative of this Arizona native’s southwest roots. We love everything Amy creates so including her on this list of top female interior designers was a must! After working as a stylist for interior magazines, Anemone Wille Våge began her own interior design company in 1989. Today Wille Interiors focuses on private and commercial projects in which Anemone instills her characteristic style as well as an aesthetic synonymous with sophistication, luxury, and grace. Anishka Clarke works alongside her partner Niya Basc at their Brooklyn-based interior design firm Ishka Designs where they specialize in the creation of beautiful, casually sophisticated and minimalist projects around the world. Anishka began her career in the world of finance, however after 10+ years working in both her homeland of Jamaica and on Wall Street she quit her job to follow her passion for design. She went back to school at FIT, then launched Ishka Designs. An entrepreneur, savvy businesswoman and natural design talent, Anishka is an empowering female force in the design industry! “It’s a gift to do what you love, and if your work can bring joy to people in their daily lives in the process, it is triply rewarding,” says Brigette Romanek on her site. Self-trained and well versed from years of travel, curation, and reading, Brigette combines multiple genres in fresh and unexpected ways. Each of her projects surprises and delights! Sisters Cláudia and Catarina Soares Pereira joined their mother Caterina Rosas atelier Casa do Passadiço interiors soon after its founding in 1992. What began as a small showroom based in Braga, Portugal, in an 18th century Manor House with the same name is now a full-scale architecture and interior design firm. Casa do Passadiço specializes in luxurious high-end interiors and architecture for private residences, yachts and public spaces with contemporary elegance and discreet luxury. Real estate agent turned designer Cheryl Eisen conceived of her unique firm Interior Marketing Group in 2007. IMG is the largest luxury real estate design and marketing firm in the United States. The IMG concept – a unique hybrid of interior design, staging, public relations, marketing, and event planning attuned to what drives buyer decision-making. A recipe that enables the most coveted properties, and developments in the world to sell faster and at greater multiples than the market’s average. Kudos to Cheryl for seeing a need and fulfilling it! Internationally-acclaimed designer and philanthropist Clodagh passionately believes that good design supports wellbeing and that it can transform people’s lives. She feels that clutter can undermine serenity, but minimalism should not be self-denying. The experience of entering a Clodagh-designed space is one of blissful harmony. She is noted for her “Life-Enhancing Minimalism™.” One of the world’s leading innovative multi-discipline design practices, Clodagh Design’s award-winning portfolio spans over 30 countries and a wide range of eco-conscious projects and products. The Brooklyn-born and raised Ellie Cullman founded Cullman & Kravis in 1984. Today the firm is renowned for its “modern traditional” style. A look that impeccably mixes antiques and modern artworks, custom made furniture, and exceptional textiles to create dynamic interiors that are complex and layered-always comfortable and never overly formal. Since 2000, Ellie has been listed in the definitive “AD 100” Architectural Digest’s designated best designers and architects and is surely a force among top female interior designers! After studying art history at Vassar College, Eve Robinson brought her talent and innate sense of style to Polo/Ralph Lauren. Her evolution toward interior design was a natural one. She completed the interior design program at Parsons School of Design and in 1990 founded Eve Robinson Associates, Inc. in New York City. Since starting her eponymous firm, Eve has created numerous stunning interior clearly earning her spot as one of our top female interior designers. Gulla Jónsdóttir is a visionary beyond all else. An architect and interior designer by trade she creates unexpected and poetic modern spaces. Known for her sensual and dynamic forms that work in harmony with their surroundings, Gulla’s environmental compassion brings unique spatial experiences that respond to nature and surrounding site, always echoing the integration of organic beauty and function. Today Gulla’s studio has a reputation for holistic work across the fields of architecture, interior design, graphic design, product design, and brand management. She has designed residential, commercial and hospitality projects worldwide, as well as having her own furniture line. Jennifer Post is the mastermind and driving force behind the award-winning architecture and design firm, Jennifer Post Inc. For over 20 years, she has been at the forefront of creating elegant modern, contemporary homes with a flair of sophistication sought after by a following of elite clientele. Jennifer’s ability to edit down living spaces to the most essential, uncluttered luxuries has earned her and her firm a world-class reputation amongst the country’s leading architects and designers. 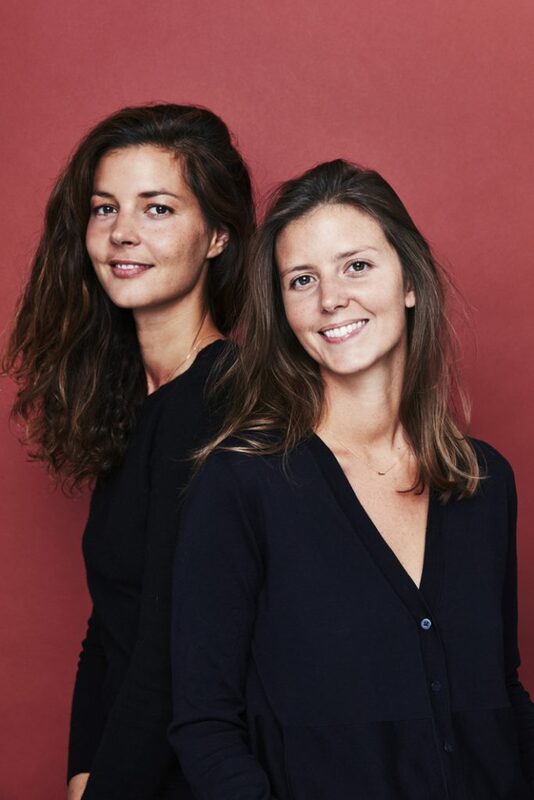 Joséphine Fossey and Florence Lipszyc founded their Paris-based firm Atelier 27 in 2013 after meeting at Christie’s Modern Art department in Paris years prior where they worked together as cataloguers and specialists. Studying artworks and masterpieces was their daily mission and passion, refining their art knowledge every day and notably during the landmark sale of the Yves Saint- Laurent and Pierre Bergé collection in 2009. The rich and varied skills of the Atelier 27 Paris team work hand in hand to tailor the most creative and adapted solutions for their clients. When it comes to a fabulous bar, restaurant or hotel design, atmosphere and interior design are key ingredients for success! Enter Karen Herold and her creative house Studio K – the woman and team behind the design of some of the best restaurants in Chicago and many other buzz-worthy spots in the city and around the country! The Amsterdam-native designer’s refined yet eclectic taste has attracted clients such as Hugh Hefner, Michael Morton, and Steve Wynn. From top-rated restaurants to luxury multifamily residences, Karen’s Chicago based company has flourished as a creative powerhouse. With her adoration for black rugs, black sofas, and interior environments, Kelly Hoppen was a must for our top female interior designers list. Her irreverent style mixed with her passion for statement pieces makes her simply unstoppable. The South African born British designer has achieved iconic status designing houses, hotels, yachts, and jets. Kelly has her own collection of paint, fabrics, rugs, and ceramics. Dubbed the Queen of Taupe, Kelly is also the author of 7 design books. A clear selection for this list of top female interior designers. Since 2006, Laura Umansky has been curating gorgeous spaces for her clients all over the globe. Recognized for her bold and timeless style, Laura’s signature style is Classically Current (inspired by iconic design brought into the modern, bold and romantic, reflections of her clients’ personalities). In addition to leading and inspiring her talented all-female design team as they bring stunning interiors to life, Laura is a mom to twin girls! Known for her seductive sophistication, avant-garde edge and the unparalleled luxury experience she provides her clients as she transforms their dreams into reality, the inimitable Lori Morris is in no way your typical designer. While many designers blend into popular aesthetics and trends, for over 25 years, Lori has mastered creating truly original and timeless works of art in each of her stunning interiors. One of our favorite top female interior designers hands down! Scan any top interior designer list and you are sure to find the award-winning interior designer Mary McDonald. Dubbed by Domino Magazine as the “decorating daredevil”, her mesmerizing interiors landed her on shows like Bravo’s Million Dollar Decorators and Property Envy. Mary’s delicate blend of classicism and limit-pushing modernism add a unique touch to her often feminine interiors. The top designer began her career as a milliner, transposing the skills and artisan craft into interior designs. With an impeccable sense of color, bold patterns and a “couture chic” style, it’s easy to see why we selected Mary as one of our top female interior designers to note! “We know how to hear the customer – this is the most important thing. We do not do what we want, which is fashionable in the trend, but we realize your ideas. We create a dream apartment for a client, not a designer,” says Olga Ivanova, Head Designer. Studia 54 prides itself on creating the perfect interior, embodying the client’s imaginative vision, unique personality, and particular lifestyle. Internationally esteemed for their bold creations Olga and the Studia 54 team are sought after by elite clients across the globe who seek their reputable spaces that exemplify their clients’ individual personas. Patricia Urquiola may have been born in Spain, but she is Italian by choice. Famous for her innovative furniture design and interiors, she has won Designer of the Decade, Designer of the Year (for multiple magazines), and been awarded the “Order of Isabella the Catholic” by His Majesty The King of Spain Juan Carlos I, we’d say she’s a name you NEED to know. With product designs in numerous museums and designs for some of the most important Italian and international brands, Patricia Urquiola was a must for this list of top female interior designers. Since founding her eponymous design firm, Sara Story has forged a reputation for imparting to all her projects an ineffable style she can truly call her own. Drawing inspiration from extensive travels, an active interest in contemporary art and fashion, and a rigorous lifestyle, Sara wields a keen eye to exact her aesthetic vision: crisp, elegant, and comfortable gestures that thoughtfully balance multiple elements of good design for an everyday, polished life. With numerous accolades and project features in some of the top shelter magazines, Sara is one of the top female interior designers to surely note. Since founding her interior design studio in 2002, Sarah Ponitowski-Lavoine has gained notoriety for her innate talent and ability to transform spaces. Sarah’s signature style incorporates a mixing of styles and origins, elegance and comfort, it is the embodiment of a cosmopolitan Parisian spirit. A number of major commissions, each an individual prototype and the realization of her dream of expressing her lifestyle ideas in 2017 with her brand Maison Sarah Lavoine, have quickly risen Sarah to the top. Sasha Bikoff’s interiors embody glamour. Her signature references to high-fashion, beautiful blending of vintage pieces and luxurious details combined with her deep understanding of design and flawless execution of the process make this New York-born interior designer one to know! Ever since her childhood in Hong Kong the interior designer and decorator Stephanie Coutas has retained an intuitive appetence for the mixing of cultures and the refinement “art de vivre” with no show of ostentation. Stephanie’s prestigious and luxurious achievements distinguish themselves by the nobility of the materials used, the prestige of bespoke as well as the exceptional quality and originality of the finishing touches. One of the top female interior designers without a doubt! After training at the Special School of Architecture in Paris and the University of Milwaukee in Wisconsin, and a stint in various Parisian agencies, the French architect Stéphanie Ledoux, joined the AW² agency in 1999. In 2002 she became partner and co-manager with Reda Amalou. Since then the duo has grown into a multidisciplinary firm able to respond to large scale commissions. Known as “The lady who dresses up the palaces” with elegance and rigor, Sybille de Margerie has forged an exceptional path with ambitious projects. For twenty-five years, the interior architect has weaved natural predilections in the heart of an exceptional culture where the made-to-measure rules supreme. This invaluable savoir-faire shared with a 20-person team of collaborators has formed the reputation of an internationally renowned studio where creativity never stops reinventing itself. We hope you enjoyed our list of top female interior designers. Did we miss one of your favorites? Let us know in the comments section below! Looking for more content celebrating Women’s History Month? Read on! The post Celebrating 26 Top Female Interior Designers & Architects appeared first on Love Happens Magazine.